One fateful Saturday night in Tokyo, back in 2016, threw me and a group of my closest friends a fantastic surprise that none of us saw coming. 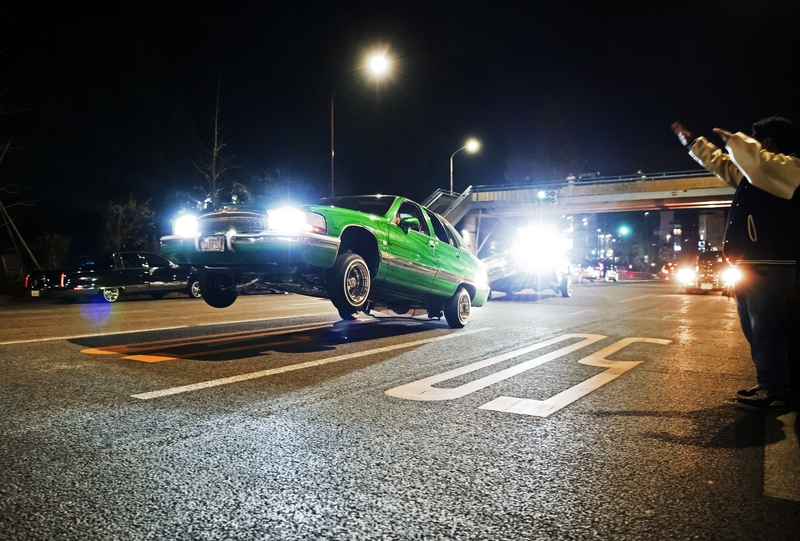 We received a hot tip from our mate, Corey Aldridge, that on the first Saturday of each month, a lowrider cruise known as ‘D1SBY’ is held after midnight just outside of Shibuya – a 45-minute train ride away from where we were staying in Yokohama. We set off on a mission, and after engaging in a ‘Google Translator’ conversation with the locals we found what we were looking for. Our first stop, in the middle of the main road netted us some cool ’50s/’60s stuff, some slammed Lambos and some other neat stuff and we thought that was it. The locals then told us to head up the street, about 15 minutes away. It was whole other world waiting for us. Picture this; its midnight on an inner city street, there are at least 50 colourful lowriders lined up on both sides of the road, and one after the other they proceed to hop and 3-wheel up and down in a continuous procession for hours on end. It was hard for us Aussies to understand the spectacle taking place in front of us – it was pure crazy! No doubt these shenanigans wouldn’t be tolerated for five minutes back home, but here it was no issue. I reckon it boils down to a basic respect, which the Japanese place a lot of emphasis on. The lowriders were all mindful and courteous towards the other road users, and even the local constabulary didn’t seem to mind when they cruised past. No idiots, no stupidity and just the right attitude. It was freezing cold, my phone was flat, my camera batteries were flat and it was about 2am by the time we trekked back home. It was a night that none of us will ever forget.